MR guidance of thermal ablation is hindered by signal loss around the metallic applicators and needles used to deliver treatment. This signal loss can prevent accurate MR thermometry in the area of critical heating around the ablation probe. Here we present a multiple-echo z shimmed sequence with optimized refocusing scheme that can correct for through-plane distortion from the probe irrespective of probe and slice orientations. With the chosen refocusing scheme we achieved a signal recovery of 10 to 1 in the near-probe region when compared to a conventional gradient echo thermometry technique. This study assessed the feasibility of 2D UTE-based MR thermometry of frozen tissue during in vivo MRI-guided cryoablation. 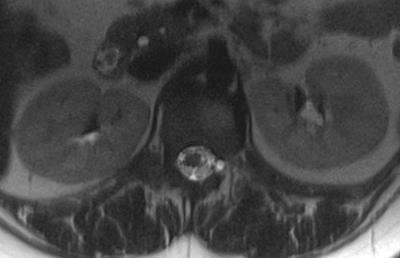 Axial 2D UTE images were acquired at the end of the first and second freeze cycle during an MRI-guided renal cryoablation procedure. 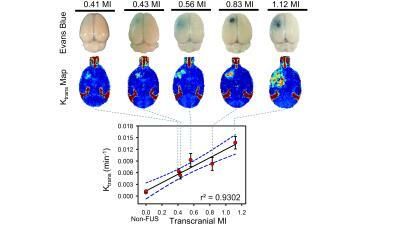 Measurable MR signal could be obtained from frozen tissue. MR temperature maps were estimated using a relative signal level calibration performed in ex-vivo porcine muscle. Our work demonstrates the feasibility of 2D UTE-based MR thermometry of frozen tissue during in vivo MRI-guided cryoablation, which could be an important step towards clinical application of this technique. MR thermometry, based on proton resonance frequency (PRF) shift, can be achieved by the phase subtraction between pretreatment baseline images and treatment images. However, breathing motion leads to phase errors that may corrupt temperature measurements. We propose the use of a hybrid MR-ultrasound imaging setup and reconstruction algorithm to provide the phase reference required for PRF thermometry in moving organs. The generated synthetic MR-ultrasound images match the acquired images in all respect except for the fact that they do not contain any heating information, and thus provide a valuable non-heated phase reference from which temperature changes can be quantified. 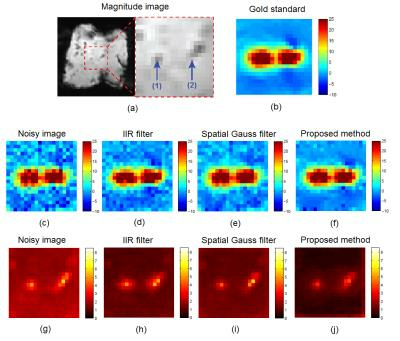 A novel image reconstruction algorithm for dynamic anti-aliasing image reconstruction (DAIR) of proton resonance frequency shift (PRFS) MR temperature maps from subsampled k-space data for localized heatings is presented. DAIR makes use of a pre-heating, fully sampled image to find and remove the aliasing artifact in a dynamic series of images. The algorithm is demonstrated using CAIPI-like sampling patterns in a 3D segmented EPI pulse sequence and focused ultrasound heatings in a tissue mimicking gelatin phantom. DAIR reconstructed PRFS temperature maps showed good agreement with fully sampled “truth” for k-space reduction factors of 2 – 4. Golden angle radial sampling is insensitive to motion and provides oversampled central k-space for self-navigation. 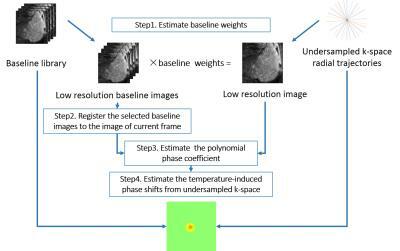 This study aims to accelerate the acquisition with motion correction for MR temperature imaging by applying golden angle radial to hybrid model based on PRF method. The proposed method uses low resolution images obtained from a certain ratio of radius in k-space center to correct the period motion and magnetic field drift. Then, an iterative method is adopted to estimate the temperature by the hybrid model. Simulations and in-vivo experiments demonstrate the robustness to motion and effectiveness of the proposed method. 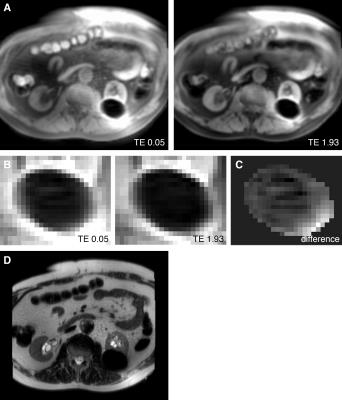 In this retrospective study, we examined the feasibility and safety of magnetic resonance imaging (MRI)-guided percutaneous cryoablation of regional nodal metastases in the setting of prostate cancer. The study cohort comprised eight patients with biochemically recurrent prostate cancer who had undergone prior prostatectomy and radiotherapy, thereby limiting their ability to receive further radiation to regional nodes. Technical success was achieved in all cases and there were no procedure-related complications. Our data suggest that MRI-guided cryoablation offers a feasible alternative therapy for local control of metastatic lymph nodes. Further prospective investigation is warranted to assess short- and long-term local efficacy. Glioblastoma multiforme is the most frequent and most aggressive malignant braintumor with de facto no long term curation by the use of current multimodal therapeutic approaches. RF heating at ultrahigh fields (B0=7.0T, f=298MHz) has the potential of delivering sufficiently large thermal dosage for hyperthermia of relatively large tumor areas. This work focuses on EMF simulations and provides realistic applicator designs tailored for simultaneous RF heating and MR imaging. Our preliminary results suggest that RF power can be focused to both a small tumor area and a big clinical target volume based on segmented patient data. Accurate temperature assessment during liver ablation requires a dedicated method for motion correction. 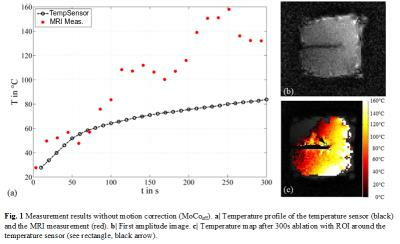 We present the first results of a prospective motion correction method for thermometry during microwave ablation using an optical Moiré Phase Tracking system. Ex-vivo studies showed a mean temperature deviation of ΔT = 0.4 °C compared to ΔT = 34.6°C without motion correction. The method can easily be integrated into the work flow if optical tracking is applied for needle placement. The use of dedicated RF coils can increase image SNR in magnetic resonance guided focused ultrasound (MRgFUS). However, shielding and eddy current effects of the ultrasound transducer ground plane (TGP) can significantly degrade the increased SNR. Accounting for these considerations when designing the ultrasound transducer can potentially increase SNR throughout the imaging volume during MRgFUS procedures. 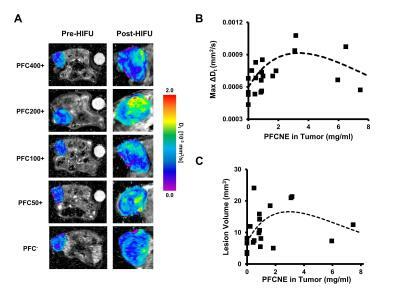 Perfluorocarbon nanoemulsion (PFCNE) is currently studied as a precursor of microbubbles to accompany high intensity focused ultrasound (HIFU) for tumor ablation. We propose 19F MRI as a valuable tool for non-invasively assessing the effects of PFCNE concentration on therapeutic efficiency of HIFU. 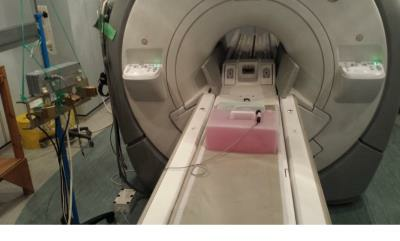 19F MRI was used to determine the amount of PFCNE accumulated in a tumor before HIFU treatment. 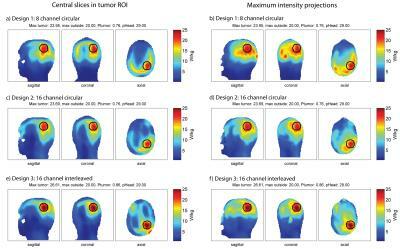 Tumor ablation was monitored by intra-voxel incoherent motion (IVIM) mapping, which was compared with PFCNE quantification from 19F MRI for identifying the PFCNE concentration that gives optimal therapeutic efficiency. The aim of this present work is to classify uterine fibroids by comparing the MR T1 perfusion based time-signal intensity curves of fibroid tissue with myometrium prior to HIFU ablation. Our findings in this study suggest that the newly introduced classification method could be used as the primary MRI classification parameter prior to MR-HIFU ablation not only for classifying the uterine fibroids but also predicting the treatment outcome of HIFU ablation, with the immediate NPV ratio of at least 80%. Focused ultrasound (FUS) exposure with presence of microbubbles can transiently open the blood-brain-barrier (BBB) at targeted brain tissues. The purpose of this study is to investigate the feasibility to employ DCE-MRI to predict and estimate molecular CNS penetration under various exposure conditions and molecular sizes. Our result showed high accuracy and successful (prediction discrepancy was limited to be less than 10%) to estimate molecular penetration of FUS-induced BBB opening via imaging index (Ktrans) from DCE-MRI. This approach may bring technology advances and facilities the clinical application of FUS-induced BBB opening to deliver therapeutic molecules for CNS disease treatment. Treatment for Spontaneous Intracranial Hypotension: First Experience with MRI Guided Percutaneous Blood Patch and Fibrin Injection. MRI guided blood patch/fibrin injection (BFP) instead of CT BFP as treatment option for SIH, first case reported. Avoids radiation exposure, helpful for adolescents and women in reproductive age. Obviates CT myelography, decreasing risks, time, and making it available for patients with iodine allergy. Our case is a 26 yo female with SIH. Axial PD, Axial and Sagittal T2 HASTE were used for localization of dural ectasia. T2 HASTE MRI fluoroscopy was used for spinal needle placement at the T12-L1 epidural space and injection of 10cc autologous blood and 2 cc of fibrin. The result was improvement of symptoms. Targeted magnetic drug delivery could reduce toxicity of transarterial chemoembolization when used in combination with a magnetic filtration device, and accurate quantification is necessary. We utilized 89Zr-iron oxide nanoparticles (IONP) to evaluate quantitative susceptibility mapping (QSM), R2*, and 89Zr-PET uptake. Phantom evaluations demonstrated linear correlation between QSM, R2*, and 89Zr-PET/MR. Substantial increase in QSM and R2* was observed in a single hepatic lobe in a preliminary in vivo experiment after injection using MR only. 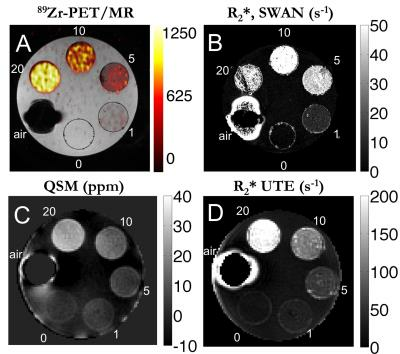 These cross-validated techniques demonstrate a linear relationship between IONP concentration and QSM, R2*, and 89Zr-PET in vitro and show promise in assessing magnetic nanoparticle tracking. Compared to X-Ray fluoroscopy, cardiovascular interventions under MR-guidance do not use ionizing radiation, they provide excellent soft tissue contrast, cross-sectional imaging in arbitrary slice orientations and a variety of functional measurement techniques. MR-guided catheterization of coronary arteries has so far only been demonstrated in animal trails at 1.5T, and it remains challenging due to limited temporal and spatial resolution. Also, dedicated instruments for MR-guided coronary interventions are not yet widely available. We show that active visualization of commercial catheters for MR-guided percutaneous coronary in a pig model at 3T is feasible and enables engagement of the LCA under real-time imaging. Bacteriolytic therapy with Clostridium novyi-NT has shown promise as a form of cancer treatment, but concerns remain regarding route of delivery and toxicity. Our study aimed to develop a method to visualize delivery with MRI during bacteriolytic therapy. We did so by incubating bacteria with iron oxide particles. In vitro viability studies and labeling efficiency studies were then performed, followed by phantom studies. Bacteria were then directly injected into rat liver tumors as well as mouse flank tumors and imaged. We demonstrate that the labeled bacteria can be directly visualized on MRI and is a reliable indicator of successful delivery. MR-guidance for biopsy procedures features high intrinsic soft-tissue contrast. However, artifacts induced by the metallic needle can reduce the localization of the needle and require low susceptibility needle materials with poorer cutting performance. 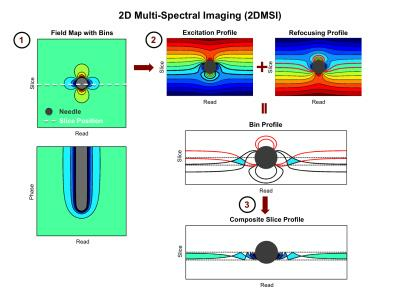 In this work, we explore 2D multi-spectral imaging (2DMSI) for reducing the needle artifacts for more precise needle localization and tracking or to enable the usage of conventional stainless-steel biopsy needles. Minimally invasive interventions benefit from image guidance during instrument positioning. To ensure high image quality, MR-guided interventions are preferably performed in closed bore systems using MR markers and passive tracking sequences to localize and monitor the interventional device. In this work we accelerate a passive marker tracking sequence designed for needle-guided procedures using a simultaneous multi-slice excitation. 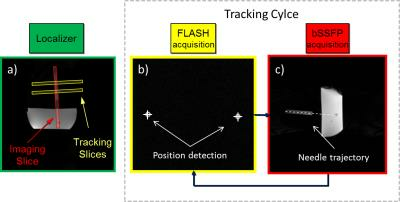 With this technique the acquisition time is reduced by 33%, which results in a higher temporal fidelity while maintaining targeting accuracy. We describe a method to convert Zero Echo Time (ZTE) MR images into synthetic CT at the resolution required for Radiation Therapy (RT). The method was tested for the head and neck application on N=8 patient data. The dose was calculated with a RT planning software and the results were compared relative to co-registered CT data. MR-guided targeted thermal therapies often rely on temperature information provided by proton resonance frequency shift (PRFS) thermometry. However, fast MR acquisition schemes are usually employed, in order to provide temperature updates with a short latency. This may lead to noisy temperature measurements, which can have a direct impact on therapy control and monitoring. In the current study we propose a novel non-local denoising technique for real-time MR-thermometry that improves data precision, while at the same time maximizing output accuracy, feature which is not guaranteed by currently employed real-time MR-temperature denoising methods. During MR-guided focused ultrasound treatments in the brain, circulation of cool water around the head and ultrasound wave propagation create water motion during the signal readout, resulting in image artifacts. These artifacts vary across image dynamics, and are observable in magnitude and phase images and in temperature change maps measured during treatment. In this work, we apply a wavelet denoising algorithm to remove these artifacts from temperature maps during treatment. Results show that temperature errors can be corrected in patient data, in 0.2 s per map, suggesting that corrections could be performed during treatment. In focused ultrasound treatment of essential tremor, MR temperature and thermal dose measurements were crucial in guiding acoustic parameters. 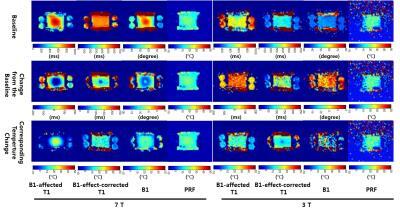 In this study, accumulated thermal doses from repeated sonications were integrated after chemical-shift artifacts were corrected retrospectively. Accumulated thermal dose measurements showed good correlation to lesion size in followup MR imaging. MR acoustic radiation force impulse (MR-ARFI) imaging, which measures tissue displacement caused by the concentrated force of a focused ultrasound (FUS) beam, has been used to locate and characterize the ultrasound focus. It has also been used to measure and assess changes in tissue elastic properties. We hypothesize that localized heating may denature elastic properties of tissues, and convert the elastic displacement caused by FUS to a form of viscous streaming. 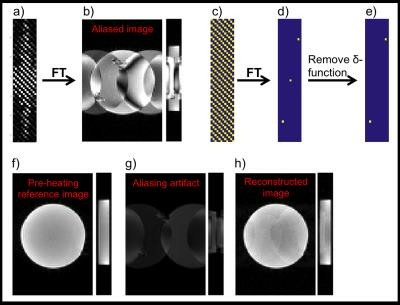 In this work, we propose using 3D GRE MR-ARFI with a unique timing scheme, to quickly and efficiently detect temperature induced viscoelasticity changes in a gelatin phantom during FUS heating. 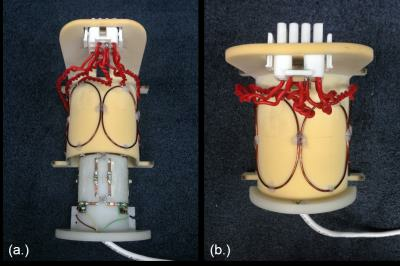 An MRI-guided multiple degree-of-freedom robotic arm positioning system is developed to guide the fiber optic insertion inside a small animal MRI scanner. The fiber optic is positioned at different depth in the rat thalamus to deliver light pulses for optogenetic fMRI. The corresponding functional spatial patterns and time courses can be achieved in a stepwise manner. The MgRA positioning system provides an alternative way to study global functional projections by mapping fMRI signals driven optogenetically from different brain nuclei. Globus pallidus internus (GPi) and Subthalamic nucleus (STN) are the two main target for deep brain stimulation (DBS) in treatment for patients with advanced Parkinson's disease (PD) not respond to medical therapies. 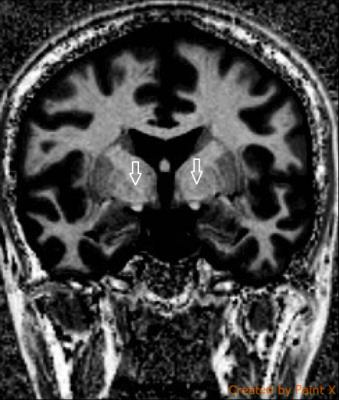 MRI brain imaging is used for selection of patients for DBS and localize the target nucleus. This study confirms that GPi/STN-DBS may be placed with high accuracy by using a correct and optimal MRI-guided sequences. Correct deep brain stimulation electodes placement can provides a safe and effective treatment for severe Parkinson’s disease not responsive to medical therapies. Our study assessed the feasibility of a novel method for real-time lesion targeting during transrectal in-bore MRI-guided prostate biopsy using a tablet device inside the MR room. Real-time targeting was technically successful in all patients and allowed targeted biopsy of the cancer suspicious region without requiring additional needle guide adjustments in all but one patient. Prostate cancer (PCa) was found in 18 of 20 patients. Our initial clinical experience indicates a substantial decrease in biopsy and procedure time as compared to standard targeting, which could be valuable to increase clinical applicability of the technique. In this study, we evaluated the usefulness of ultrashort echo time magnetic resonance angiography (Silent MRA) for intracranial aneurysms treated with LVIS Jr. stent-assisted coil embolization by a comparison between silent MRA and three-dimensional time of flight MRA (3D TOF-MRA) because the LVIS Jr. stent had higher metal coverage than previous reported stents. In silent MRA, the score of flow in the stents was superior to that of 3D TOF-MRA (p<0.05). Moreover, aneurysm occlusion status was good agreement for DSA. 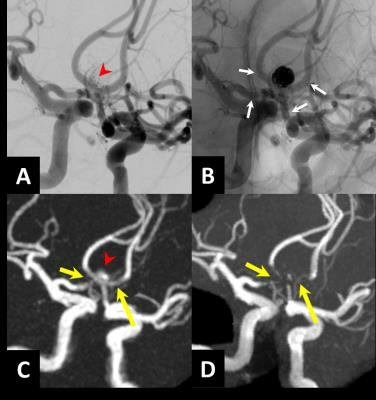 Therefore, silent MRA might be useful for intracranial aneurysms treated with LVIS Jr. stent-assisted coil embolization. This study investigates the technical treatment success and therapeutic efficacy of magnetic resonance guided high intensity of focused ultrasound (MR-HIFU) ablation of uterine fibroid patients with transverse and longitudinal scars. The results of the present study suggests that the scar patch could be used in MR-HIFU ablation of fibroid patients with transverse and longitudinal abdominal scars, which might no longer be regarded as an exclusion criterion. 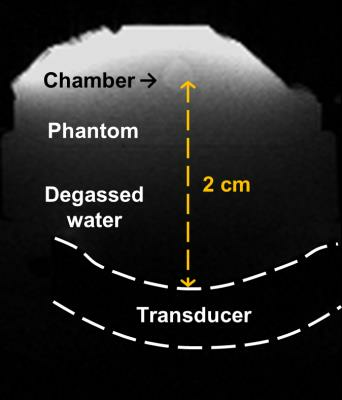 We adopted phase-contrast MRI to real-time acquire flow velocity information with transmitting focused ultrasound pulses on microbubbles in a flowing phantom. We aim to evaluate the velocity changes resulted from the formation of bubbles by secondary acoustic radiation force. We observed that temporal standard deviation of velocity and %velocity change increased with increasing MBs concentrations. It can be attributed to the formation of aggregated bubbles, which can narrow the chamber diameter and accordingly lead to higher flow velocity. In conclusion, we verified the feasibility of using phase-contrast MRI to evaluate the impact of secondary acoustic radiation force. A system for Interventional MRI using Infrared tracking of a handeld needle guide was adapted for practical use in closed-bore scanners. This was achieved by mapping of the image space to a patient space with the table outside the scanner bore to permit delayed visualisation of the targeted site. This novel method enables manual intervention of complex sites to be handled with greater care than other methods, and provides a relatively low-cost option for MR-guided interventions. We have previously developed an autocontouring and tracking algorithm for lung tumors as an online application for MR-Linac treatments. 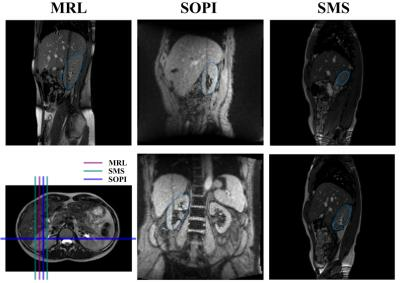 This algorithm is now extended to abdominal organs tracking and evaluated with a range of imaging strategies on multiple systems, including single slice dynamic time-series data acquired on the 1.5T Marlin system of the MR-Linac as well as simultaneous multi-slice (SMS) and simultaneous orthogonal plane imaging (SOPI) acquired on diagnostic 1.5T Philips and 3T Siemens scanners. The wide adaptability of the algorithm on images of different contrast concludes that the method is robust and can be successfully applied in different tracking scenario. Signal-to-noise ratio (SNR) and homogeneity of the static magnetic field B0 are critically important in achieving accurate temperature measurement for MRI guided HIFU. In this work, a 5-channel shimming coil on the top of a 3-channel RF coil array at 3T has been fabricated to increase the B0 homogeneity and the SNR in region of interest. Phantom studies have demonstrated the the capability of the proposed shimming coil to improve B0 homogeneity and SNR of the images, which will lead to accurate temperature mapping. 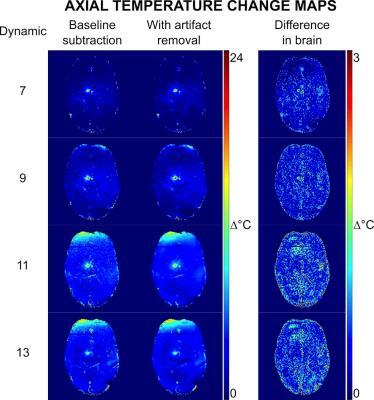 Although temperature imaging in 7.0 T MRI has the advantage of increased SNR compared to lower field, it is more sensitive to susceptibility causing more artifacts. Since the 7.0 T MRI is also affected more by the electrical conductivity, temperature-dependency of the electrical conductivity is also affecting the resultant images. 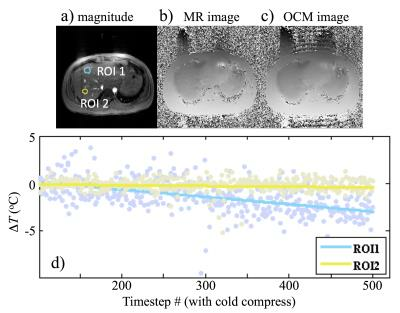 This work compares the temperature mapping methods for RF hyperthermia in 7.0 T and 3.0 T MRI and proposes the new temperature mapping method appropriate to 7.0 T MRI under the environment of changing conductivity. With emerge of MR-linear accelerator technology, the interest for MR-only radiotherapy is growing rapidly. This study evaluated the feasibility of using pseudo-CT generated from conventional Dixon-MR scans for treatment planning of lung cancer where dosimetric differences are expected to be high due to tissue inhomogeneity. A model-based method including spine was applied to generate synCT from whole-body Dixon-MR data. 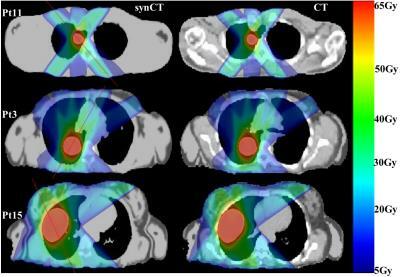 The plans for radiotherapy in lung cancer calculated on synCT images closely agreed with the doses computed on standard CT to within 1%. Further evaluation of the MR-based treatment planning in a large patient cohort is needed.